Real Madrid earned an easy victory against Las Palmas to extend their unbeaten run and extend their lead at the top of La Liga. Goals from Isco, Cristiano Ronaldo and Jese Rodriguez earned Rafa Benitez three points that keep the managers great run since he arrived at Madrid. 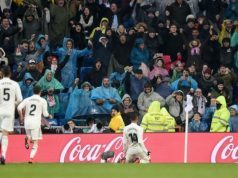 Los Merengues opened the score pretty soon, as Isco took advantage of a poor Las Palmas defending to make it 1-0 with four minutes on the clock. The Spaniard received a pass from Casemiro and found the bottom corner. Just ten minutes later, Ronaldo made it 2-0 as he angled a header into the bottom corner after meeting a super Marcelo cross. 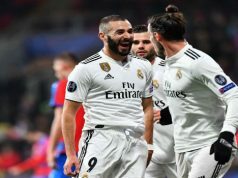 Real were playing very confidently, but Las Palmas suddenly found themselves back in the match as Hernan rose unmarked inside the Real Madrid box to head a corner past Kiko Casilla. 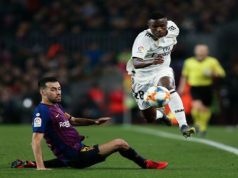 Yet, the visitor’s hopes of savaging a point ended soon, as Jese scored five minutes later to seal Los Blancos victory. 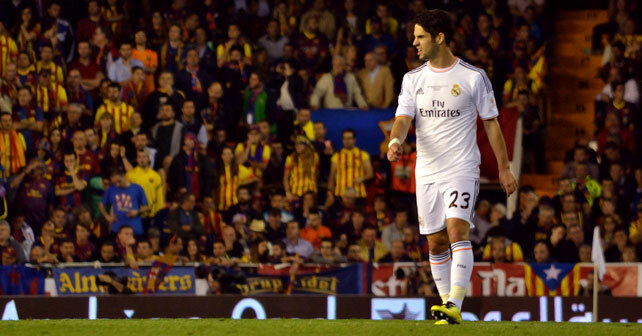 The winger, who was excellent in the game, cut inside his full-back before firing one into the far corner. The second half was pretty boring, with very few chances for both sides. Rafa Benitez men ended up securing a victory that keeps them top of the table.